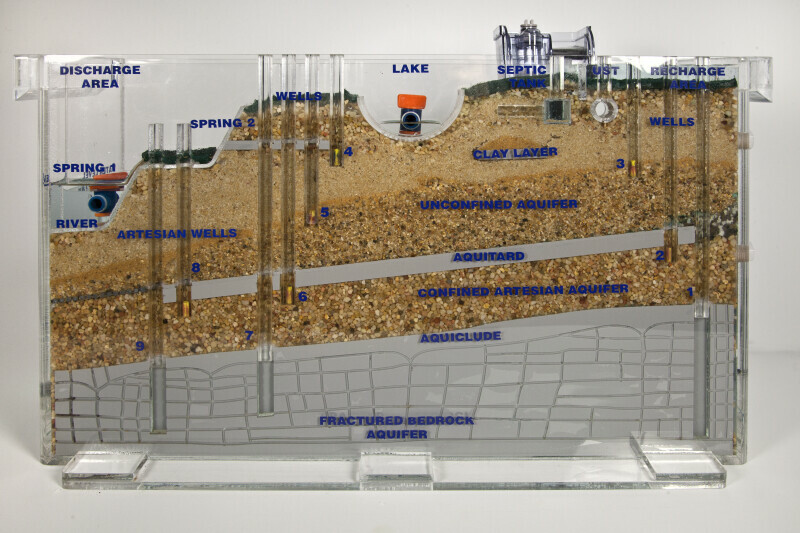 This is a photograph of the front of the groundwater model. Water is introduced into the model on the right side and flows through the various layers to the discharge area on the left side. The model can be used to demonstrate many principles of groundwater flow in the classroom.